A step-by-step guide to inviting new team members. How do I invite someone to the team? You can do this from a couple of places: first from the Member’s Interface, from the Workspace Settings under Workspace Members or from the workspace dashboard. 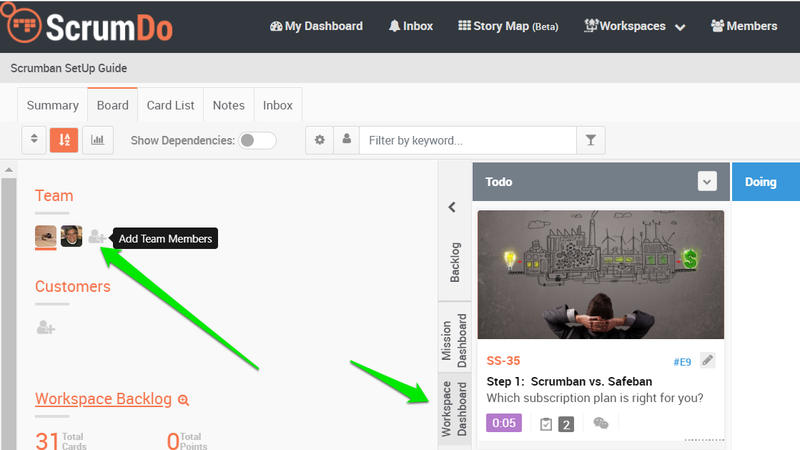 From the Dashboard go to your Organization drop-down menu, choose Members and select the workspace and type of access. Enter either the person’s email address or if they are already a ScrumDo user - their username. Click “Send Invitation.” Those who are already users will be automatically added. Those who have been sent an invitation email will need to create their user account. You can add \ manage workspaces access by the individual. If you prefer managing your teams via groups ( suitable for very large organizations) you can enable that in the Organization Settings.